For almost five years, I was in a long distance relationship with my partner, Ken. 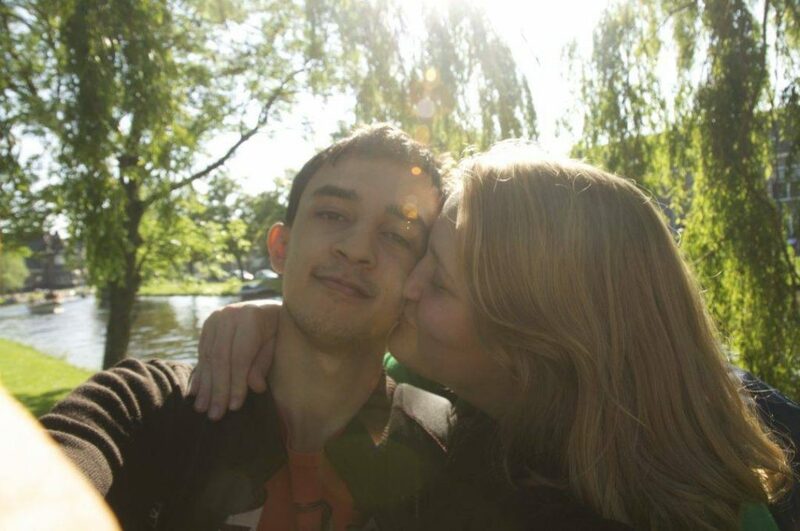 We met before I started college and dated from a continent apart through five years, until just last week, when I moved to the Netherlands. Now we live together in a beautiful apartment in my favorite city, and we’re one of the few couples I know who survived a multi-year long distance relationship. If you’re considering a long distance relationship or are already in one, don’t believe the hype: long distance is possible! It’s not easy, but with the right attitude and a few of the right principles, it’s absolutely doable. Here’s how. While Ken and I were long distance, I did my best to appreciate the good parts of a long distance relationship. It meant that I could spend my college years focusing on friendships, school, and healthy habits without getting sucked into spending all my time with one person. I could also travel every few months, and, because we were international, Ken and I could meet up in exciting places like Seattle or Rome. Best of all, I could spend my days doing what I wanted, without compromise, and that at the end of the day, I still had a loving partner to “come home” to (via Skype). By focusing on these positives, I was able to keep my mind on the good things about our relationship, which made it easier to enjoy. If you’re in a long distance relationship right now, make a list of every single positive thing you can think of about your situation. The list can be short, and the items don’t need to be major. Maybe you like scheduling your day around your own priorities, or maybe it’s nice to spend time with friends on Friday nights. Focus on these positives when you’re having a hard time, and do your best to stay positive. Whenever Ken and I had a hard time in our relationship, it almost always came down to one thing: time. If we hadn’t been Skyping regularly, or if one of us was busier and seemed distant, it almost always caused friction. By the same principle, the best times in our long distance relationship almost always came from spending more time together. Try to set aside time in your schedule for video conversations, movies on Rabbit, or chatting throughout the day. Regular times help, and so does setting an intention to call daily or always text each other goodnight. In our first two years together, Ken and I would often make time to have “Skype dates” where we’d both dress up and go to a café or dining hall to call each other. The new location and little bit of effort made our conversation a little more exciting, and helped keep our time together special. Setting aside one video call per week to make a “date night” can be a cute way to connect even when you’re apart. Try making dinner together over video chat, watching a movie at the same time, or chatting in a café as though you’re out together. Throughout my college years, I’ve been lucky to have a few friendships that are really deep and close. Most of the time, that’s wonderful; but in some circumstances, a close friendship can start to feel like more than a friendship, which can eat away at a strong relationship. In long distance relationships, it’s easy to use a friend or acquaintance as a surrogate, of sorts, for your partner. But just because your boyfriend or girlfriend isn’t with you at that moment, doesn’t make cheating (emotionally or physically) okay. And although flirting may seem harmless, it undermines the foundation of trust in your relationship for both of you. 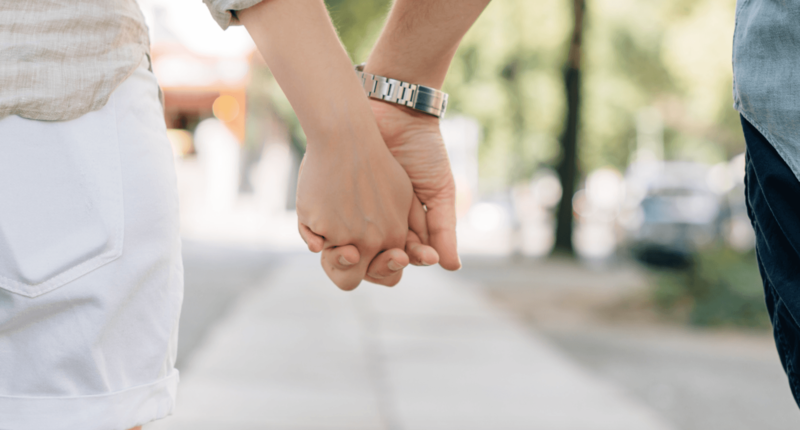 Staying loyal to your partner is paramount in keeping a close relationship, and it’s one of the ways that Ken and I made our relationship work through five years of long distance. When I asked Ken about his advice for people in a long distance relationship, he advised to stay interested in your partner’s life, hobbies, and friends – even when they’re far away. Ken always made sure to ask me about my work, my classes, and my friendships when we were long distance, and it made me feel appreciated and connected to him. In turn, I tried to ask questions about his job and projects. If you’re in a long distance relationship, do your best to ask thoughtful questions about the other person’s life regularly. It’s easy to get into a routine over the phone. Don’t let that happen; try to have meaningful conversations and connection. Almost every article I’ve read about how to have a long distance relationship, said to have an “end date” in mind. For Ken and me, our end date was five years after we started dating, and counting down would have driven us crazy. Instead, we tried to make plans to see each other twice or three times a year. Even then, we didn’t count down days, instead focusing on being together even when we were apart; for example, via Skype, Rabbit, or text-messaging applications. Ken and I succeeded in our long distance relationship because we stayed focused on each other and we didn’t give up. In the modern world, it’s easy to get distracted and lose focus on the things that really matter. But by prioritizing the people who mean most to you, you can make a relationship work – even if it’s from 1,000 miles away. This is awesome, and I totally agree with literally all your tips. My boyfriend and I are only four hours apart, but we’re lucky if we see each other once a month! Imagining being on the other side of the world makes 4 hours seem a little more possible. 😉 Congrats on “making it.” Love this & best wishes! Thank you so much! Best of luck to you in your long-distance relationship too! Awwn, this is so beautiful! Long distance relationship needs not more than all these tips you’ve shared. Thanks for sharing! This is so inspiring! My boyfriend and I have been together for 4.5 years and have done long distance for 1 year so far. He’s in med school 2000 miles away while I am working in San Francisco and it’s tough. We see each other every 1-2 months but we have 3-4 more years of long distance in front of us as we both decided that I shouldn’t sacrifice my professional life right now to move to the same place as him. It’s comforting to see others who have made it through 4-5 years of long distance!